Bali has been one of my favourite destinations since my first visit to Indonesia as a teenager. I love its unique culture, colourful ceremonies and, of course, delicious Balinese food. Balinese cuisine reflects the mainly Hindu population of the island but also borrows from the cooking traditions of nearby Java and as far afield as India. It can be spicy and but is always full of flavour. Once visitors to Bali needed to venture away from the main resort areas to find local food. 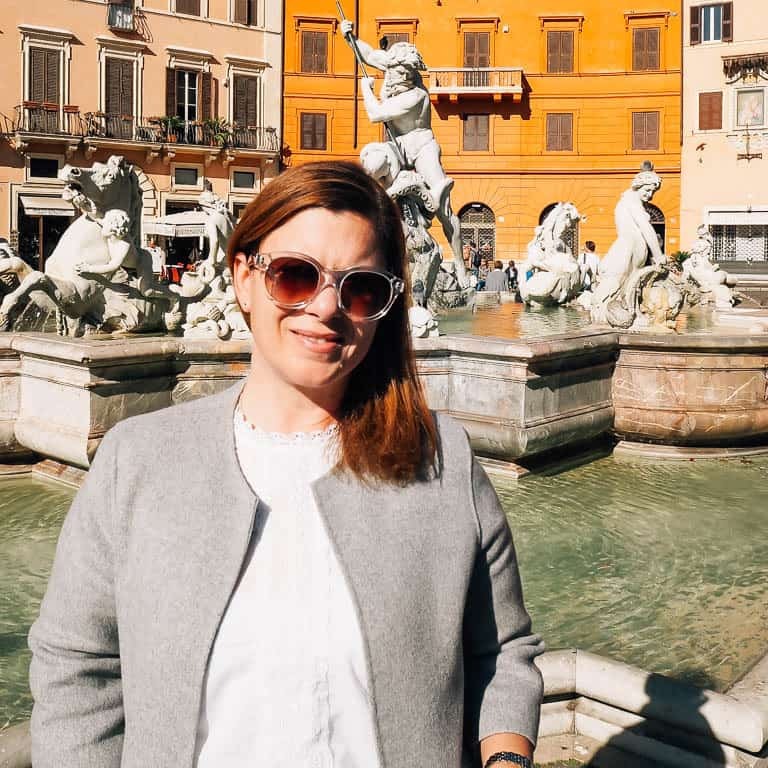 These days you can try local dishes almost anywhere – from local street food stalls called warung through to Michelin starred restaurants. You can even hire a chef to prepare you a feast at your favourite Bali vacation rentals. So what foods should you try in Bali? And what are the main elements that make the food of Bali so delicious. Staples of the cooking in Bali include rice, fish and pork as well as the tropical fruits and vegetables native to the island. What makes the cuisine unique is the use of pungent spice blends, fish paste, chilli and palm sugar. Fresh galangal, ginger, turmeric and garlic are used alongside dried spices. 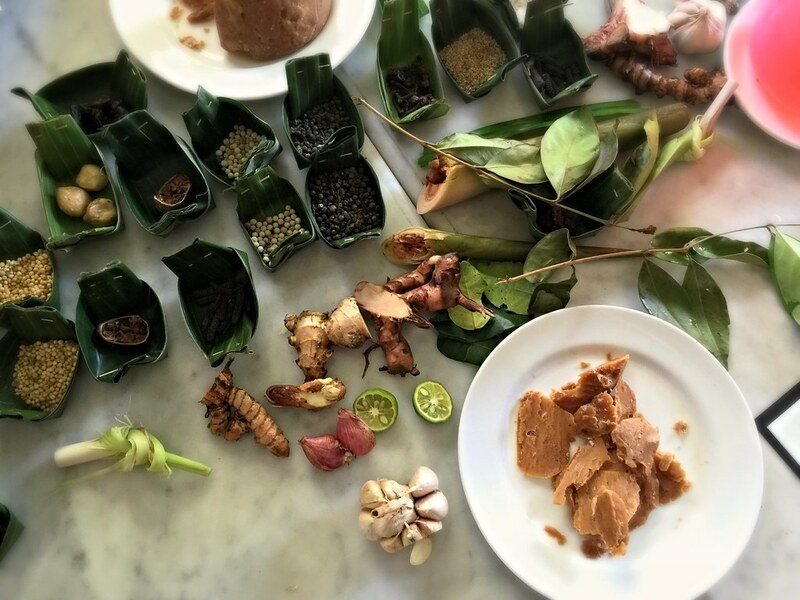 Most people are familiar with the use of white and black pepper, coriander, cumin, and cloves in south east Asian cooking but in Bali the use of candlenut, nutmeg and sesame seeds is also common. One of my favourite mainstays of Balinese cuisine are the sambals or spicy condiments made with a variety of chilli and other ingredients like coconut, tamarind and shrimp paste. 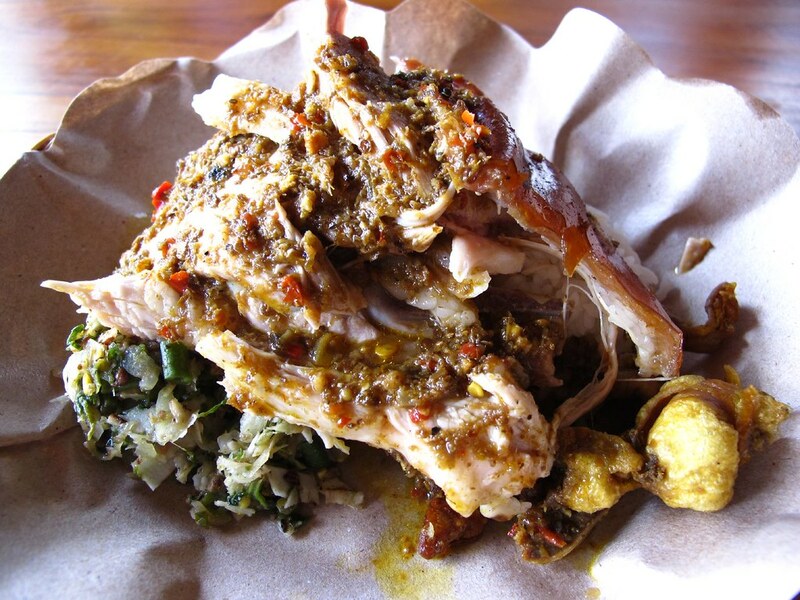 Once saved for special ceremonies and occasions, babi guling is one of the most popular delicacies served in warungs and restaurants across Bali. The roasted pork meat comes with lawar (see below) and steamed rice, and is a staple food in almost all rituals and ceremonies. Rujak Buah is another traditional Balinese dish. Similar to fruit salad, the dish consists mainly of raw mango, pineapple, cucumber, and papaya. It is served with a spicy sweet and sour dressing of ground chilli, peanuts and palm sugar. In Indonesian, gado gado means mix mix which is an apt name for this warm salad. Made with slightly steamed vegetables, tempeh, boiled potatoes and hard boiled eggs, the salad is served with a spicy peanut sauce and crispy fried shallots. This authentic Balinese dish is made of a combination of vegetables, minced pork meat, grated coconut mixed spices and other condiments. Lawar is normally served with steamed rice and a soup of chopped banana stems. The lawar dish is usually prepared in large quantities, during celebrations and other important ceremonies in order to feed big crowds. Some of my favourite dishes is Lawar udang, made with green papaya and served with shrimp sate, and Lawar Kuwir, made of minced duck skin and fried duck meat. A vegetarian dish, serombotan is made from boiled vegetables such as, beans, waterlily, eggplant and spinach. The prepared vegetables are then mixed with fried peanuts, soya bean, grated coconut, chilli sauce, lime juice and spices. 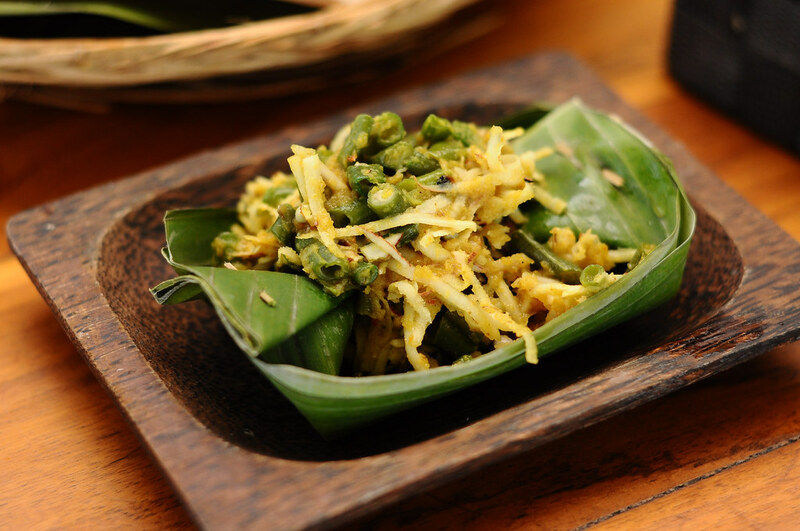 The dish has its origin from Klungkung, and is considered to be a healthy snack in Bali. 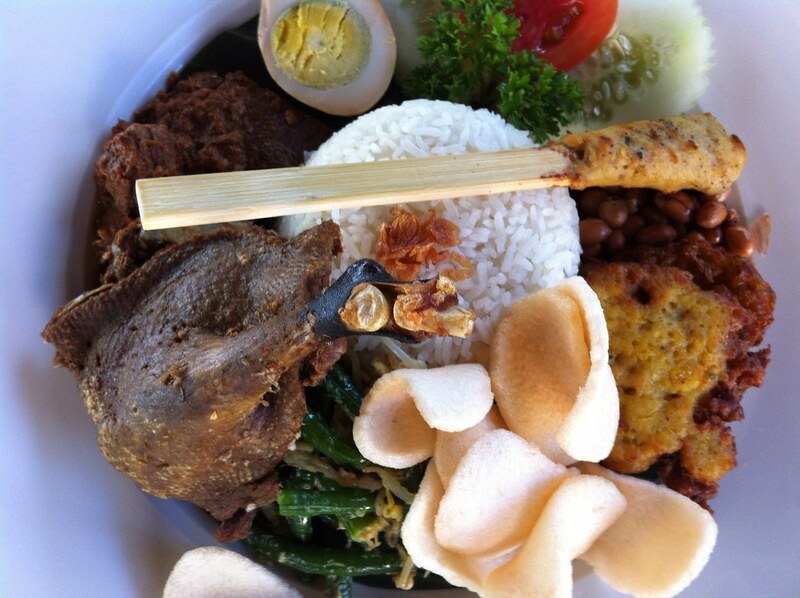 Possibly Bali's most famous dish, bebek betutu or smoked duck is a delicacy that you must order in advance. Duck is covered in spices and wrapped in betel leaves before the slow smoking process begins. Taking at least 24 hours to cook, it is well worth waiting for this favourite Balinese dish. Ayam betutu or steamed chicken is another poultry favourite. Chicken is marinated, then gradually steamed for about an hour and then roasted over an open flame with coconut husks for another 60 minutes. It is then wrapped in banana leaves to retain the moisture in the meat ensuring the dish is extremely juicy and tender. Available both in sweet and sour form, Martabak, is another popular local dish of Bali. Like a stuffed pancake, the sweet variety comes with a thick filling of chocolate or banana and is widely consumed during the evening hours. 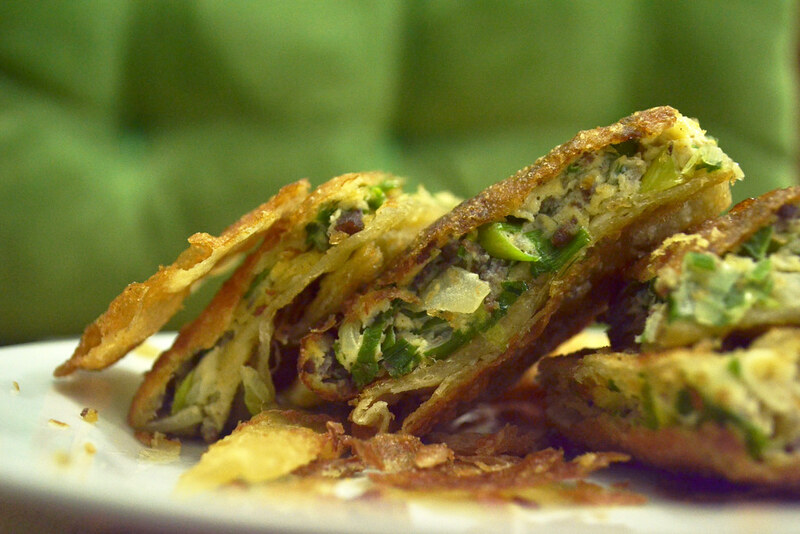 The savoury version, Martabak Telur, has a filling of duck egg and minced meat with green onion and other seasonings. The most traditional and commonly found dish in Bali, Tipat Cantok, is made from a mixture of steamed vegetables such as water lily, ling beans and sprouts which are mixed with rice cake and peanut sauce. The dish is hugely popular with the locals, and is found in most warungs but rarely in the big restaurants. 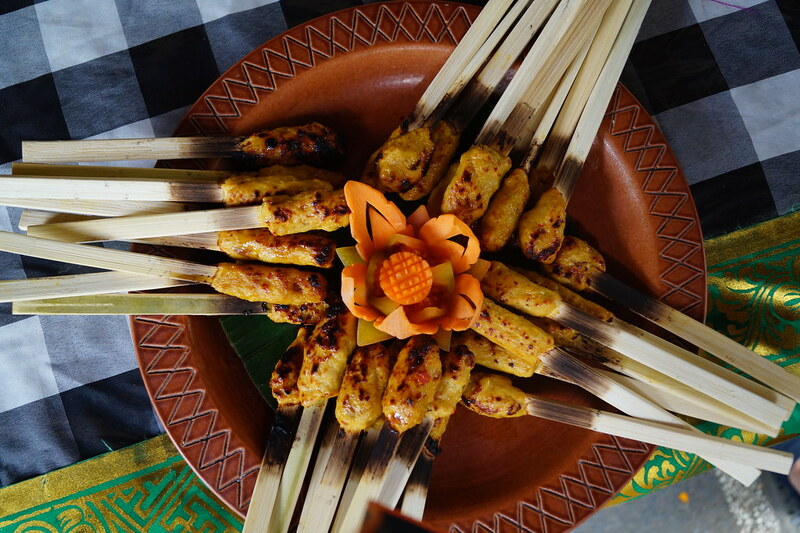 Sate is one of the most popular foods not only in Bali but the whole of South East Asia. The Bali version is special because of the addition of extra ingredients, like lemongrass and chilli, which are used to give it a stronger flavour. Sate is a simple dish that involves grilling minced chicken, mutton, pork or fish, threaded onto bamboo skewers that are cooked over a charcoal fire. The meat is usually served with steamed or fried rice (nasi goreng) and peanut sauce. I always say if you really want to uncover authentic local cuisine you need to head to the produce markets of the area you visit. A great way to do this is with a guide who can point out ingredients and explain the way they are eaten and used in local dishes. Disclaimer: This article contains affiliate links. For more information on our affiliate policy please visit our disclosure page. All opinions are our own. Haha – I like to think I am pretty adventurous when it comes to food but I draw the line at Balut – did you write about it? So many good options here. I was in Bali a couple of months ago and was able to try some of these delicacies.